There are many reasons for wanting to sell your home. Unfortunately they are not always positive reasons. If one of these listed below resonates with you, then contact us to see how we can help. This list is certainly not exhaustive. What ever your reason, if you are motivated to sell your house, then we are interested in buying it. For some people there is a urgent need for quick cash due to tax arrears, foreclosure, power of sale, delinquent payments, liens etc. For others to need to sell quickly is a sudden necessity due to unfortunate events things such as death, job loss, divorce or sickness. We buy houses to help home owners get out of their sticky situation. We are professional real estate investors. 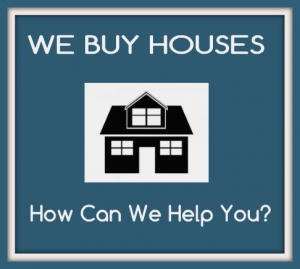 We buy houses to provide instant cash to our clients, and to help them avoid foreclosure . We believe in a win-win situation for everyone. Don’t worry if your house has deferred maintenance. We have construction and renovation experience so we can buy your house in “as in” condition. When we buy houses we make the selling process easier. Selling your house to a cash buyer such as Simple Acquisitions eliminates the need to use a realtor which means no or hire contractors to repair your home, which means more profit for you. We buy houses by giving cash to the home owner and receiving the property in its current condition. A cash sale means no appointments for showings by a realtor, no closing costs, no waiting for the buyer to quality for a mortgage, or long closing dates. It is a simple process with no fees and none of the hassles associated with selling your house. A simple process for our clients is so important to us, it’s what we named our company!! If you want to sell your home, call us and we will arrange an onsite visit. If we make an offer and both parties agree with the price, we will set a closing date. Our lawyer will draw up the required paperwork to finalize the sale. It’s a simple process. If you are a motivated seller, then CONTACT US today to see how we can help you. You have nothing to lose bu contacting us, but lots to gain. We may not buy every house, but we will certainly do out best to help every client! Remember real estate doesn’t have to be complicated.